Sleeping in cramped dorms, eating ramen noodles, “grocery shopping” in the dining hall — college years are a time for being frugal. 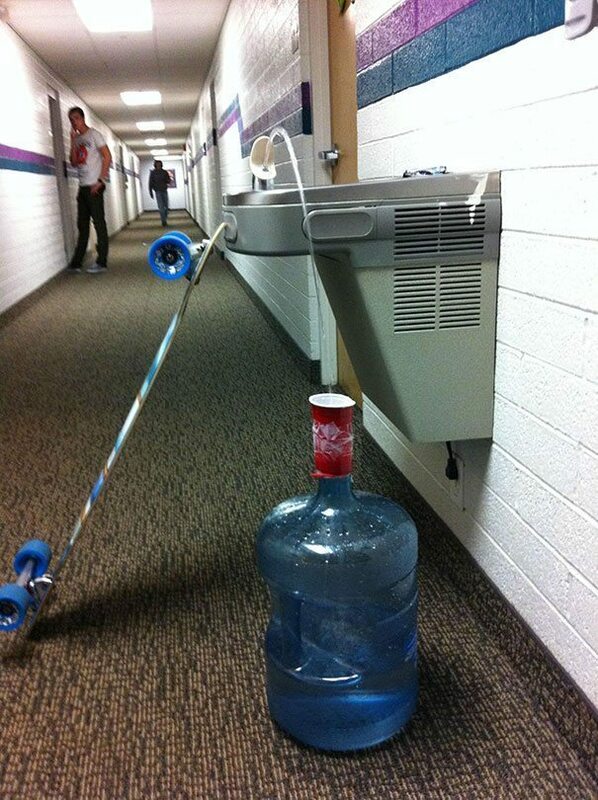 And while college students might be broke, that gives them the opportunity to be wildly creative. These 50 photos prove that students are putting their educations to work when it comes to improvising. 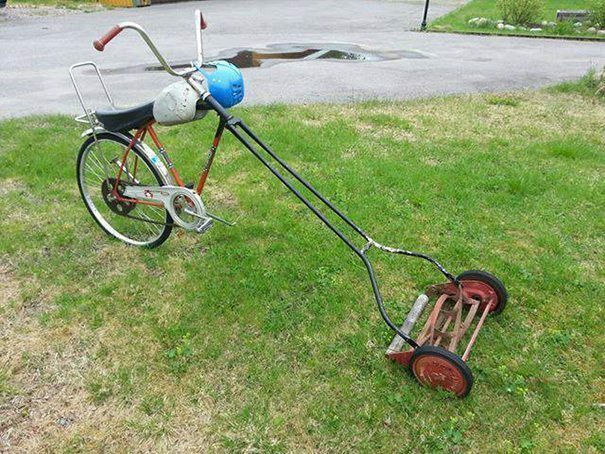 Some of these ideas are totally genius! 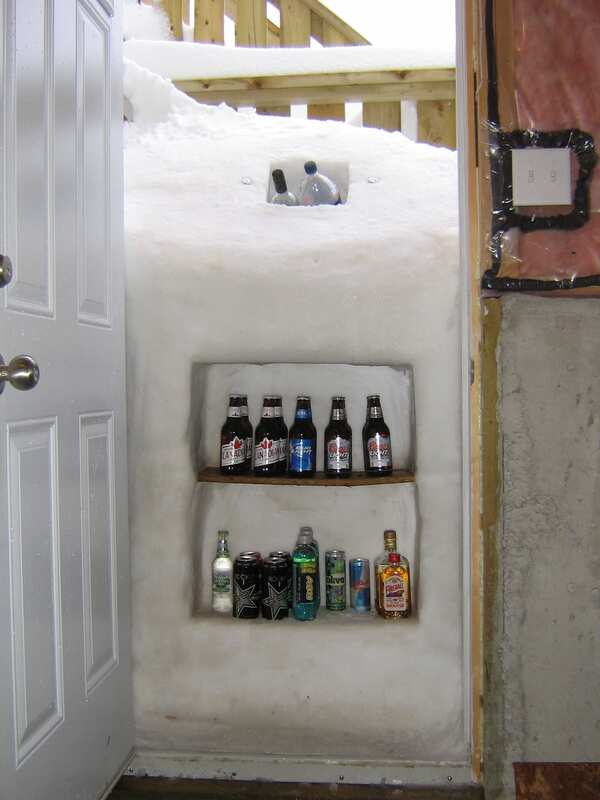 These students made the most out of being trapped in a blizzard. Good thing they stocked up on provisions before it hit. We’re particularly impressed by the shelf! 2. No trash can? No problem. 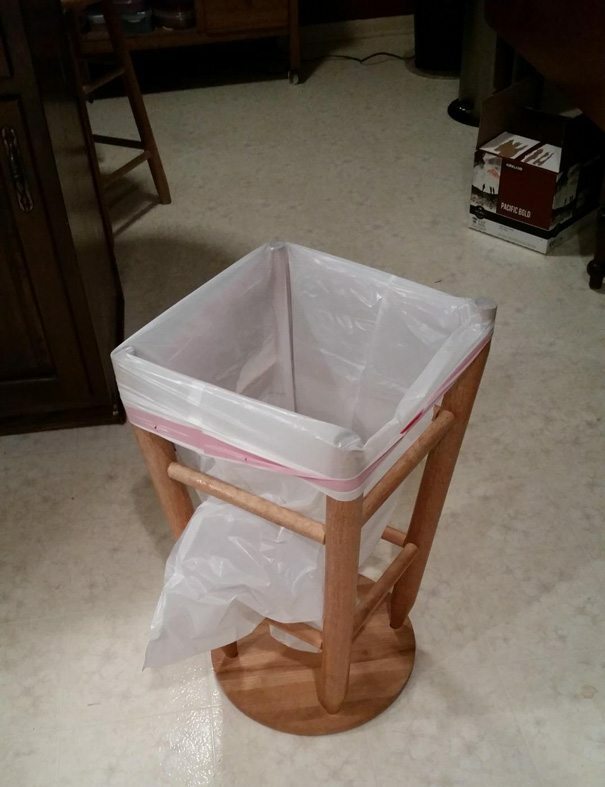 Did you know a bar stool turned upside down will hold a garbage bag? Now you do. Sometimes cleanliness is more important than extra seating. Hats off to these creative young people. Why break out the needle and thread when you can just find the nearest marker? 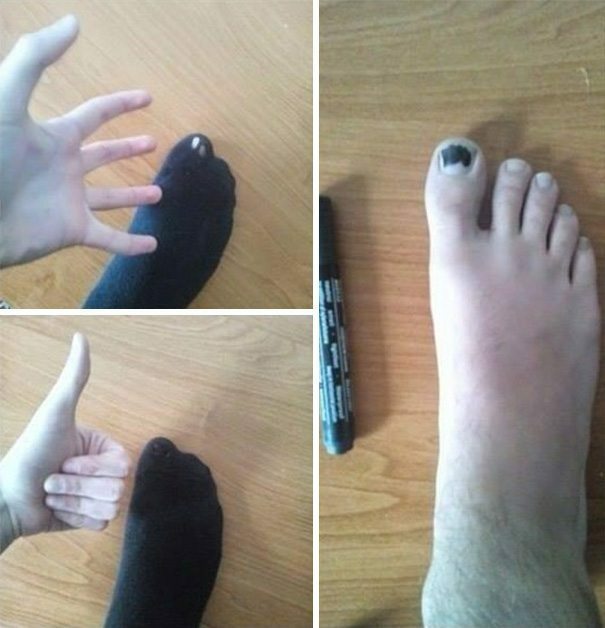 If you can’t fix your sock, fix your foot. Unless you really like your noodles al dente (and the other half crunchy) we don’t see this innovation working out, but it’s certainly a valiant effort. Well, it ain’t pretty, but we have to admit that chilling on this porch looks kind of cozy. 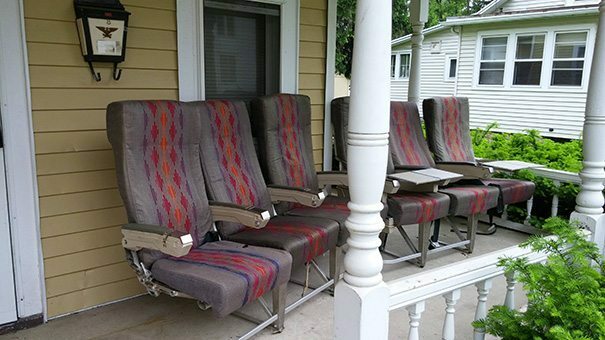 We just hope there’s not a bus or train out there missing those seats. Moving off campus can bring a whole new set of responsibilities, like yard maintenance. We’re just glad they have a helmet for this contraption. 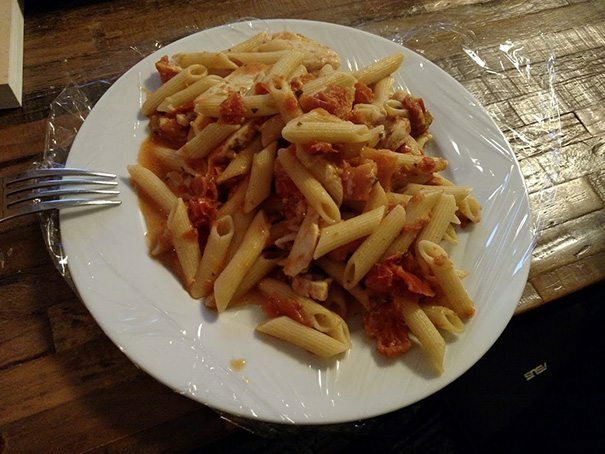 Luckily, most college cuisine doesn’t require a steak knife, so these geniuses are skipping dishes tonight thanks to their their plastic wrap protectors. 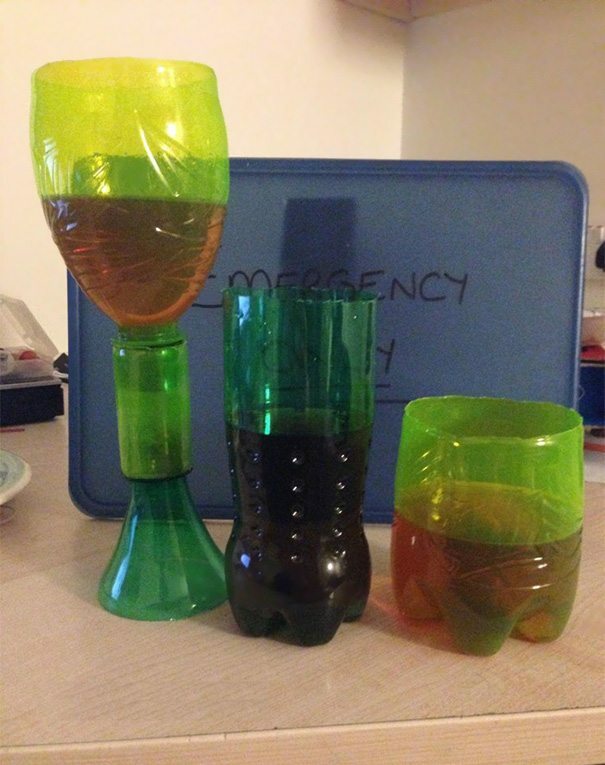 Can’t afford new cups or don’t want to go out to the store? Reuse your plastic bottles as cups before you toss them into the recycling bin. Bonus: if you cut your lip, the alcohol will sterilize the wound. 9. 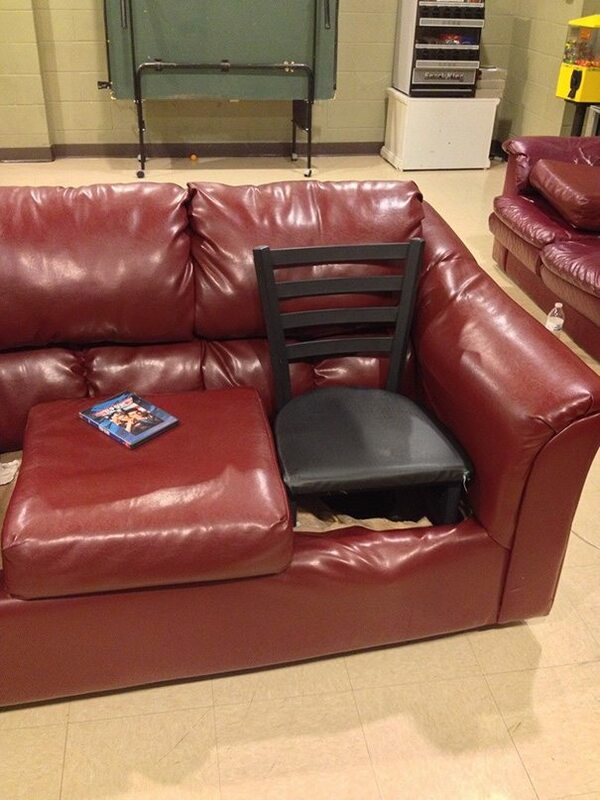 Wait, what happened to the couch in the first place?! These students clearly can’t be trusted with nice things. This couch might not be a good place to nap anymore, but it does the very minimum of what it needs to do, thanks to this hack. 10. Let me guess, engineering major? 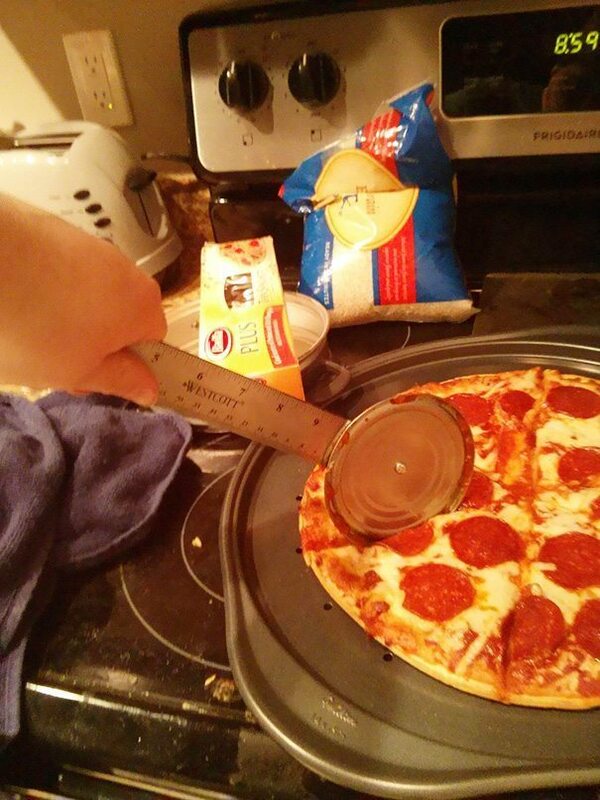 A knife would also work, but where’s the fun in that? 11. 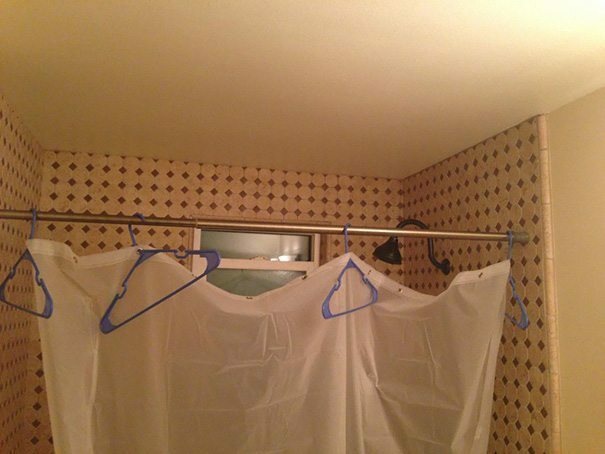 Curtain hanger win or fail? We’re not sure. Sometimes you get home from a long day of running errands only to find you forgot something important. If you’re a college student, chances are most of your clothes are dirty anyway, so there are always some spare hangers lying around. Who has room for a colander in a tiny dorm room or communal kitchen? 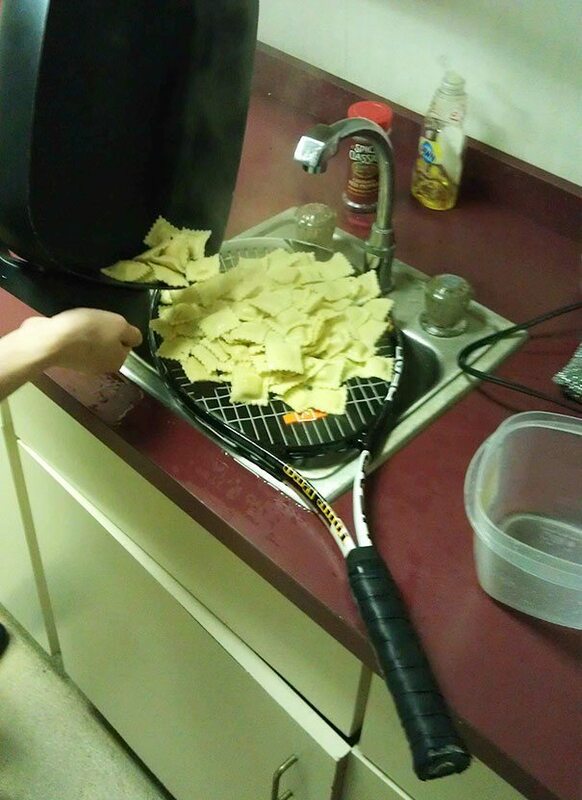 If you can find someone on the tennis team, pasta night is on! 13. Milk is expensive, okay? We’ve all seen students walk out of the dining hall a little bulkier than when they came in and it’s because of all the calories. 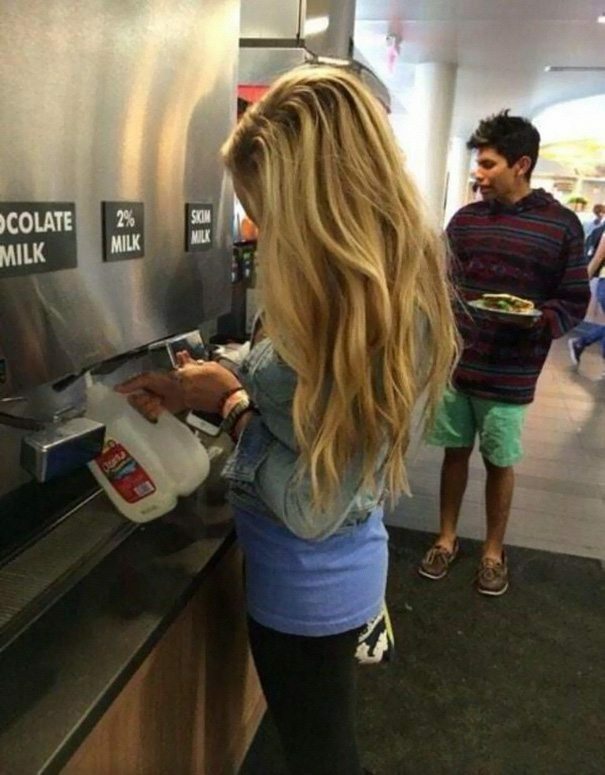 We just want to know where this student is going to hide a whole gallon of milk this as she saunters out innocently. 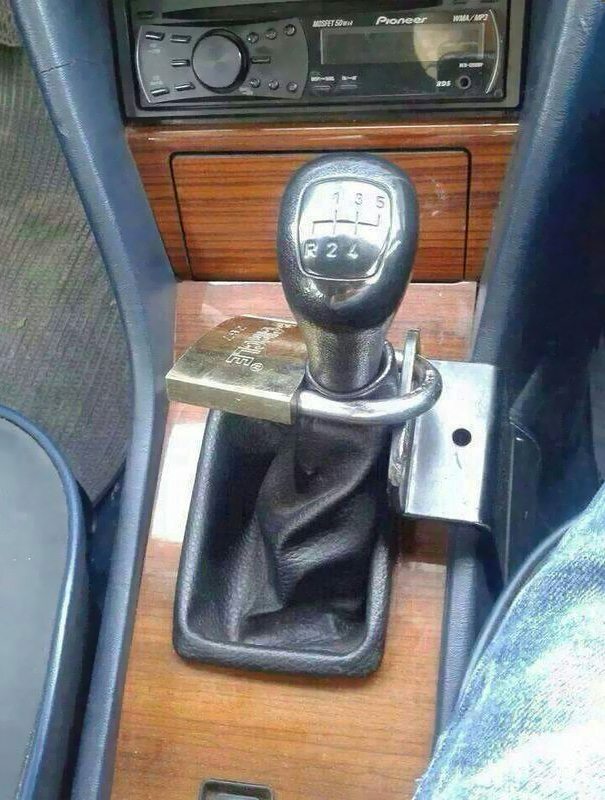 Not a bad security system if you live in the kind of neighborhood where people take the whole car and not just its contents. 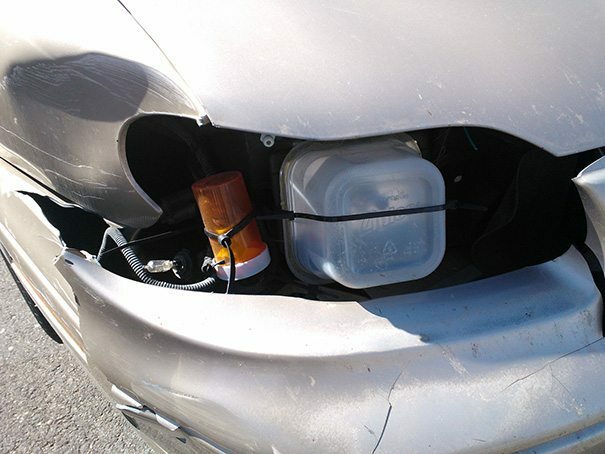 Not a bad hack, unless the officer pulling you over takes a closer look and starts asking questions about that giant pill bottle. 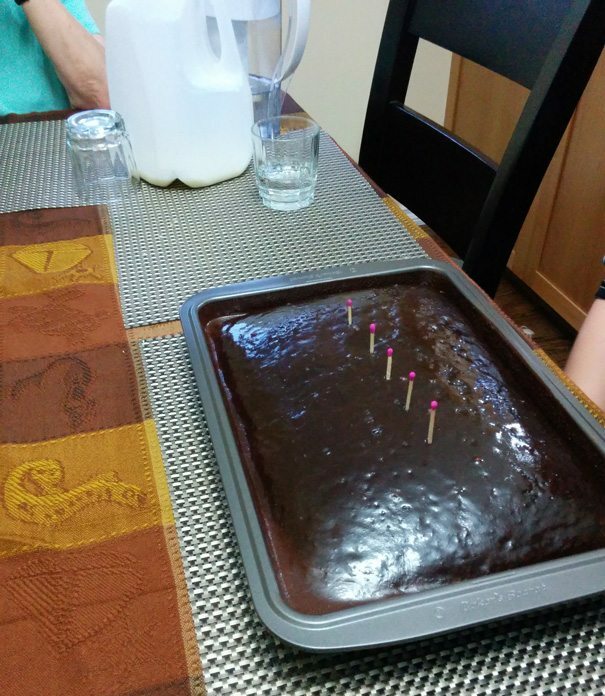 You’ll need to blow them out fast, but at least you don’t run the risk of getting wax on your cake. 17. 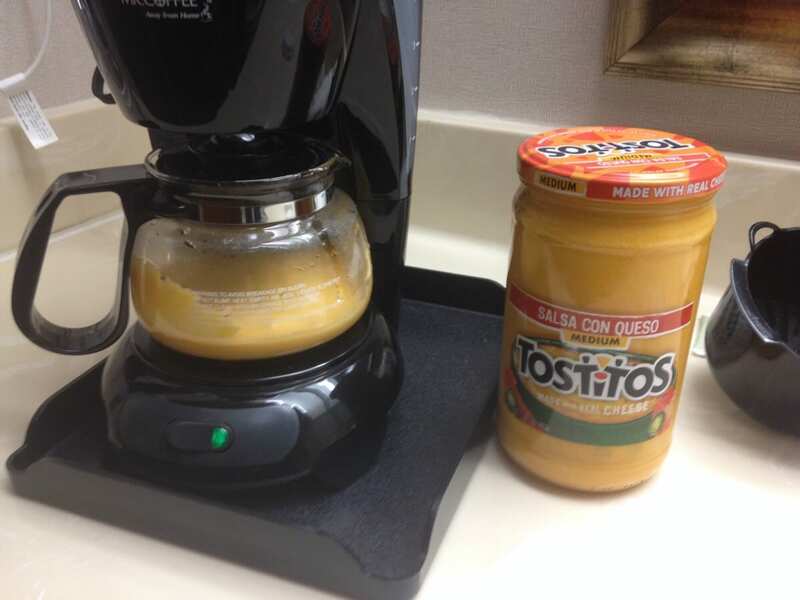 Why don’t college kids own a proper pot? 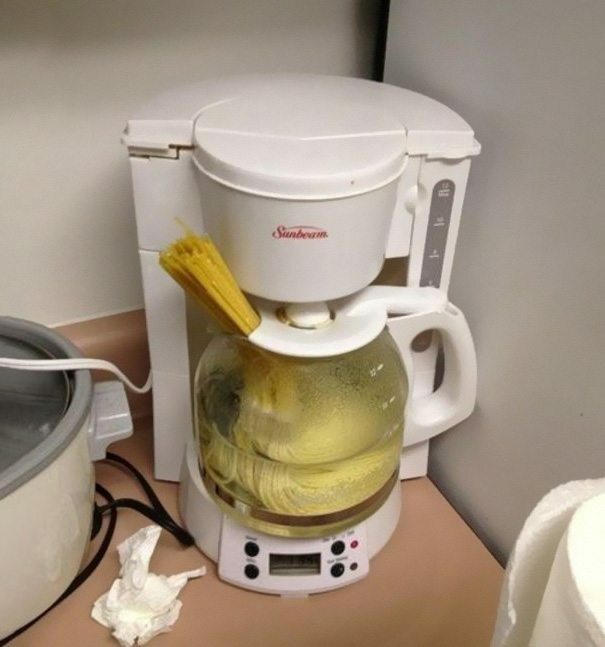 The coffee maker has been drafted into many different dorm duties over the years. 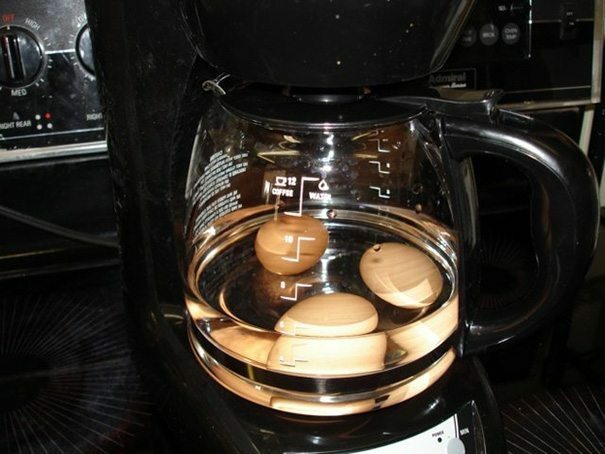 These eggs might take a little longer to cook, but at least you can forget about them for a while without starting the kitchen on fire. 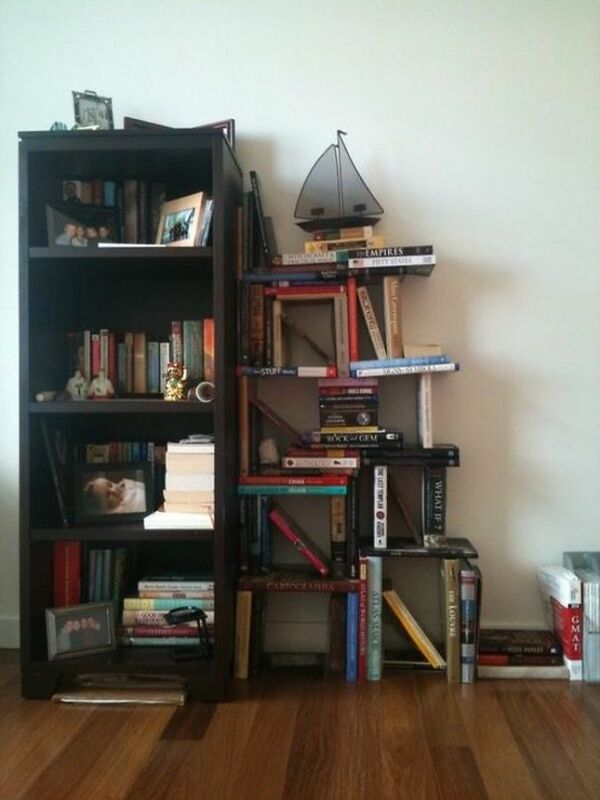 As long as you never need one of the bottom books, this is a great way to save some money on shelving. 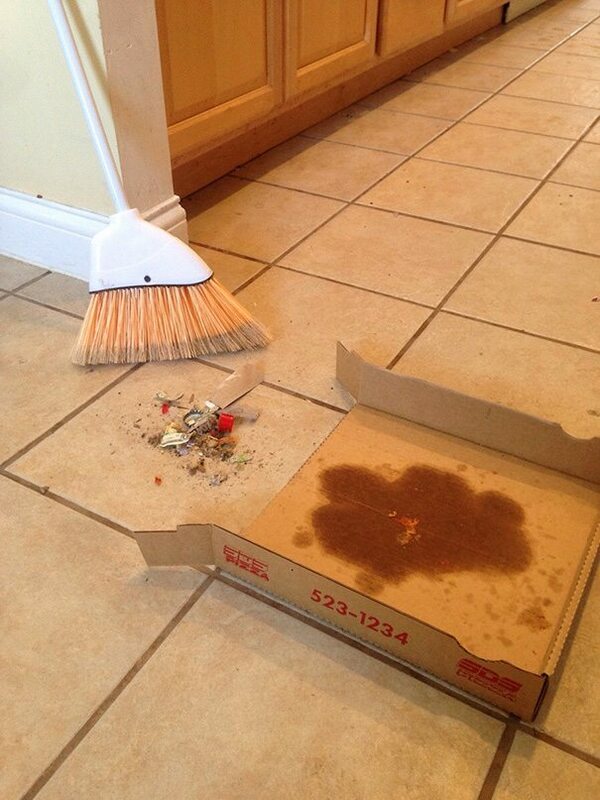 Who needs a dustpan when you have a pizza box? You’re going to throw it away anyway, so why not make it do double duty? Talk about passive income streams. 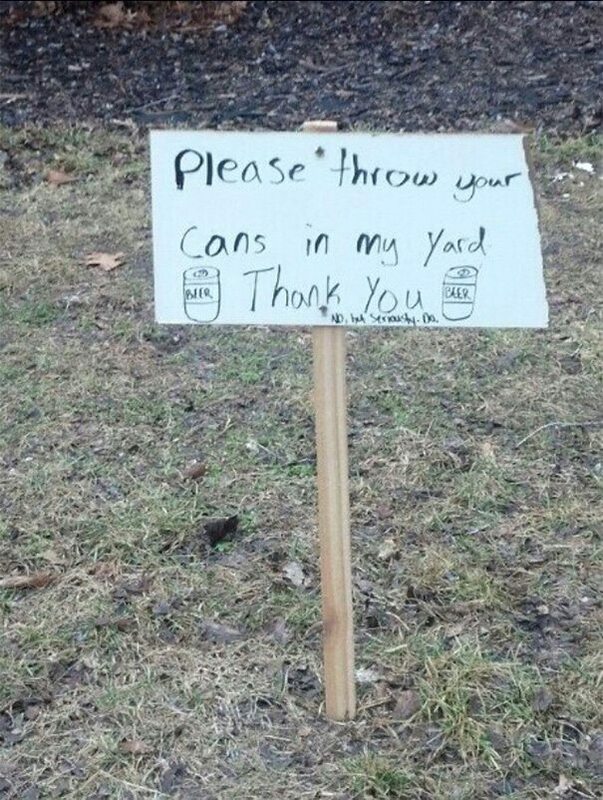 If your neighbors are the type to litter, you might ask well benefit from their bad manners. 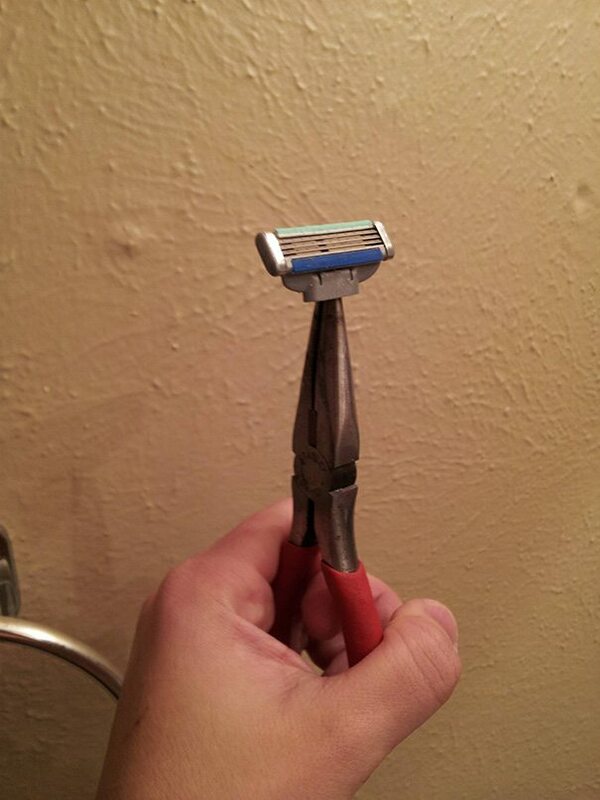 It’s a bit of a risk, but but razor handles can be expensive. These pliers provide a cheap, albiet less safe alternative. Need to burn the evidence? Add some mood lighting to your college party without things getting out of hand? 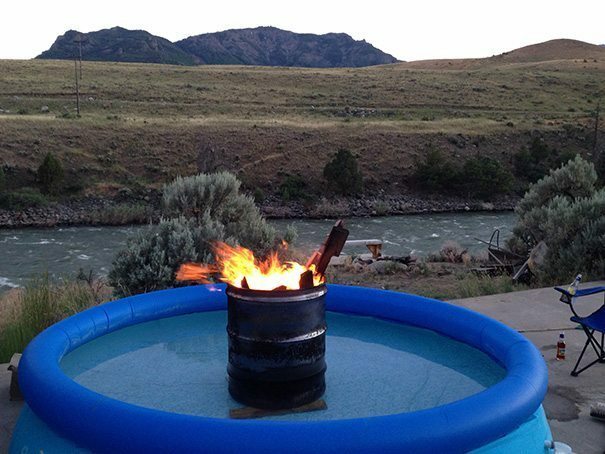 Just add a kiddy pool to prevent disaster. Missing forks, spoons, or chopsticks? 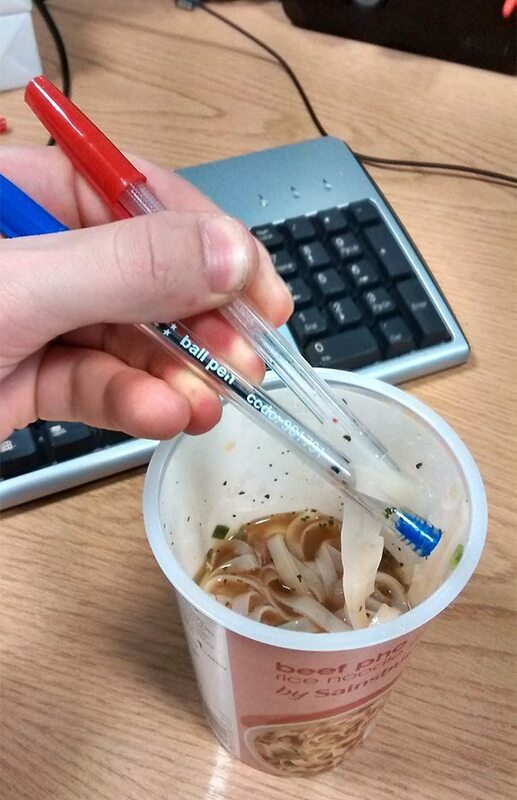 Grab some pens and get your ramen on. 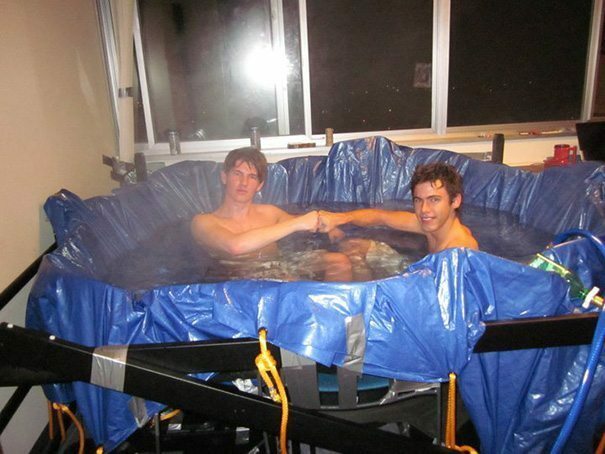 We’re pretty sure renters insurance doesn’t cover this makeshift hottub, but sometimes you just need a little luxury. 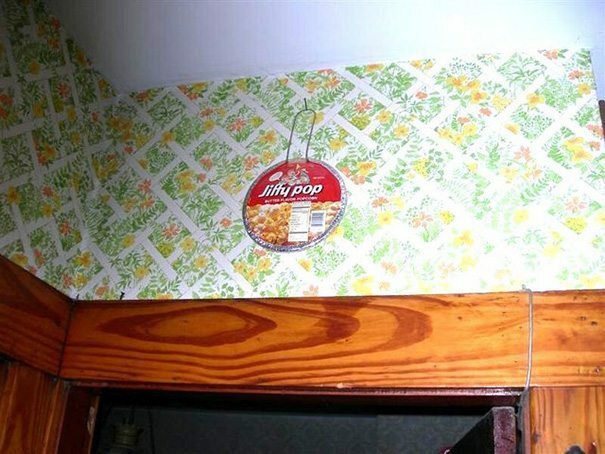 You should really let someone know if your fire alarm is broken, but in a pinch, you can grab a snack as you run to safety by using a popcorn alarm. Too lazy to get up and use the microwave (or has it been weeks since someone cleaned it)? 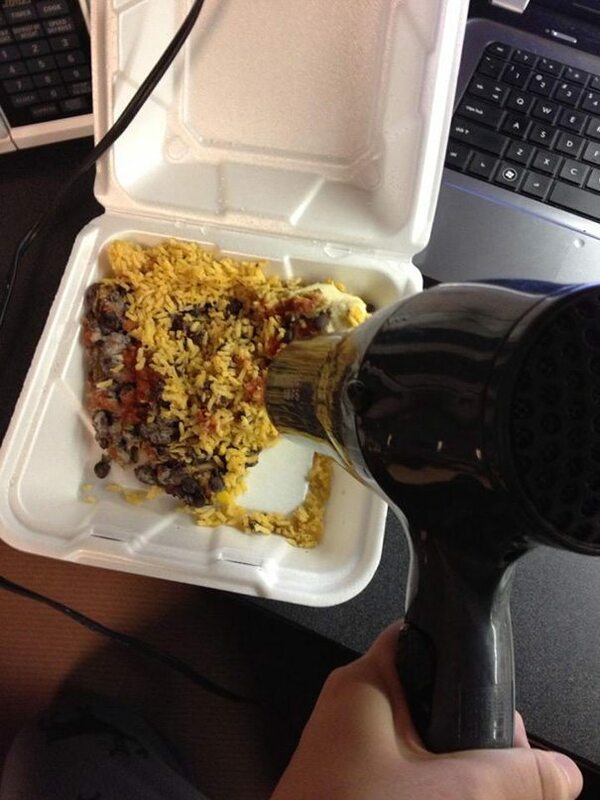 Bust out the hair dryer to warm up your leftovers. Just don’t blow rice all over your work. 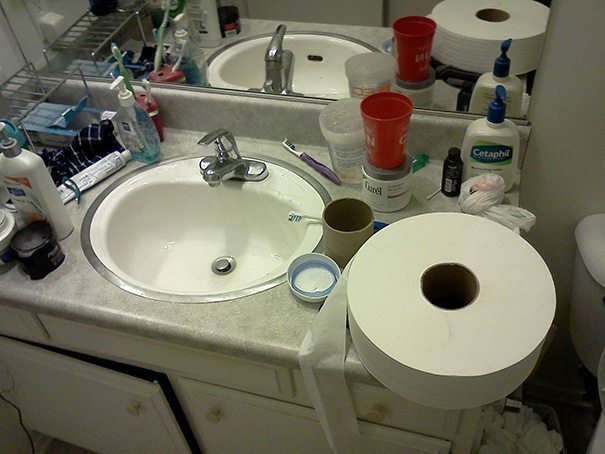 You don’t realize the added cost of necessities like toilet paper. These roomates decided to shop in the public bathroom for a long-lasting solution. The Japanese have made an art out of repairing broken pottery, but this isn’t quite up to their artistic standards. 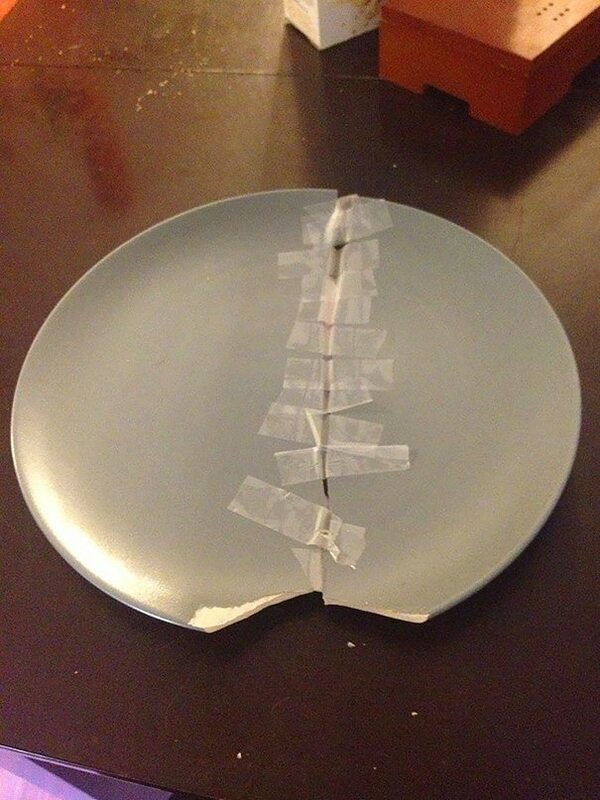 We think these students should invest in some paper (or even plastic) plates to avoid the inevitable disaster. Need to fill a large vessel and don’t have the time to wait around? This eternal fountain even has a funnel feature to make it more accurate and efficient. It might not have a massage feature, but if you don’t like showering under a glorified garden hose, a plastic bottle will do in a pinch. 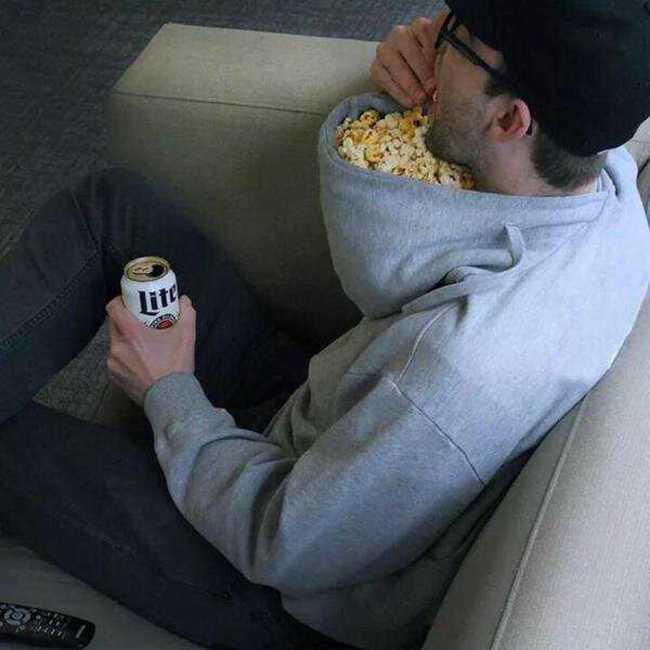 Why even own a bowl when you have a hoodie? Bonus: no one wants to share your snack. Sometimes you’re shopping in the store and it dawn on your that you already have what you need? 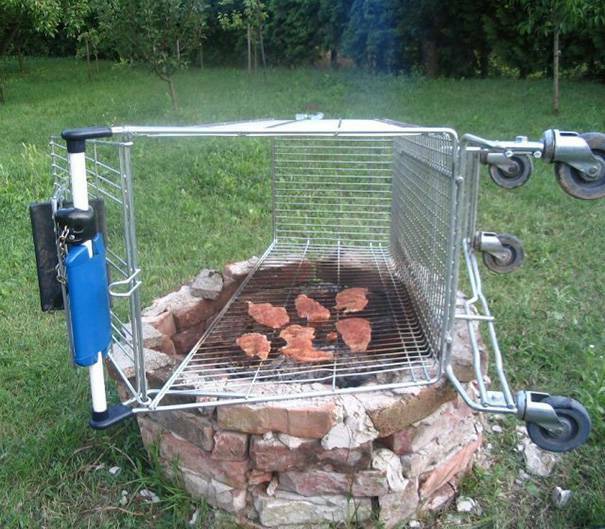 It’s illegal to steal carts, but we’ll assume this one was returned, smelling wonderful. Warming up pizza can be tough – you want to keep the crust crispy and not over melt the cheese. 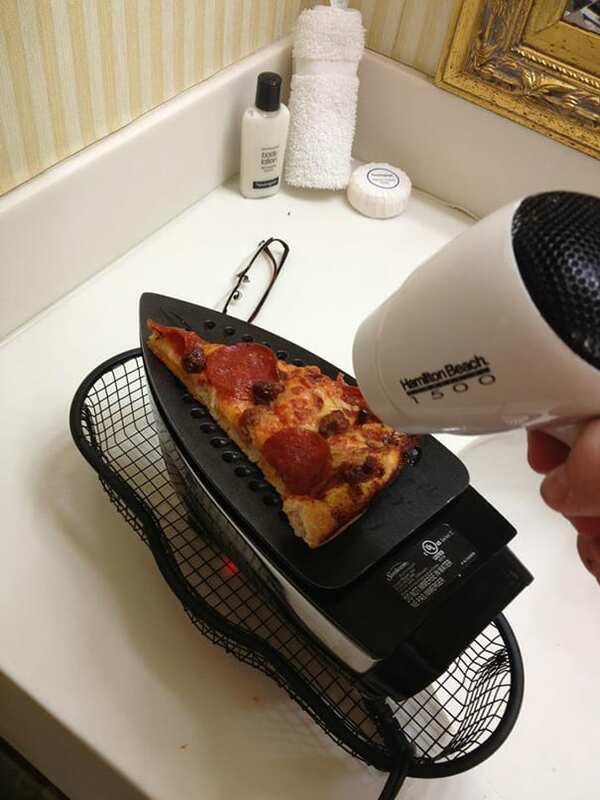 The iron ensures a crispy yet warm slice. It’s clear at this point that a coffee maker is one of the most integral tools in the college cooking arsenal. We’re just glad we’re not in charge of cleaning it out. 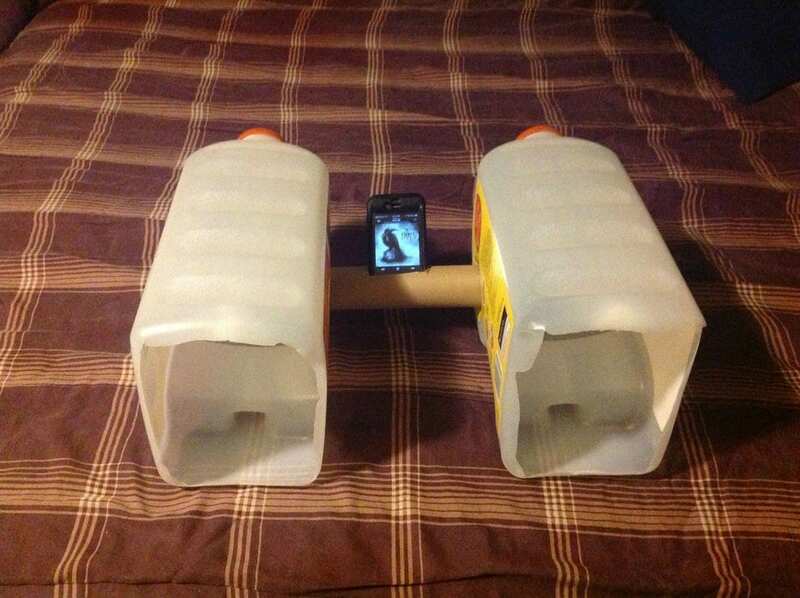 You’re ready for a house party even if you don’t have speakers with these amplifying jugs. In your college years, you’re bound to get in a fender bender at least once. 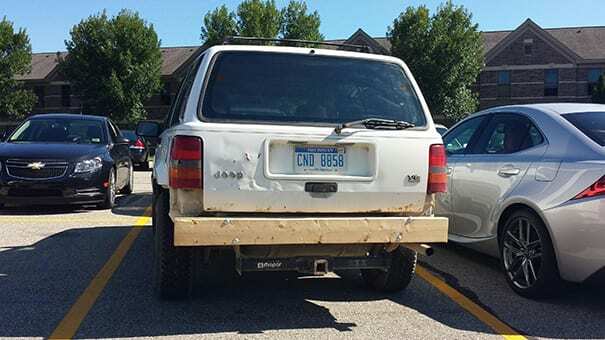 This person definitely did – and they “fixed” it with a bit of resourceful and creative thinking. 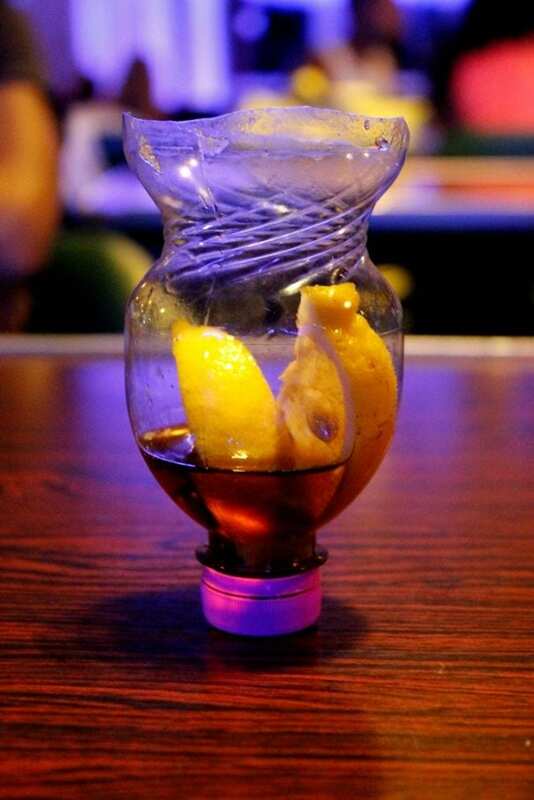 What happens if you want to drink a Manhattan or an Old Fashioned in a fancy cocktail glass but you’re broke? 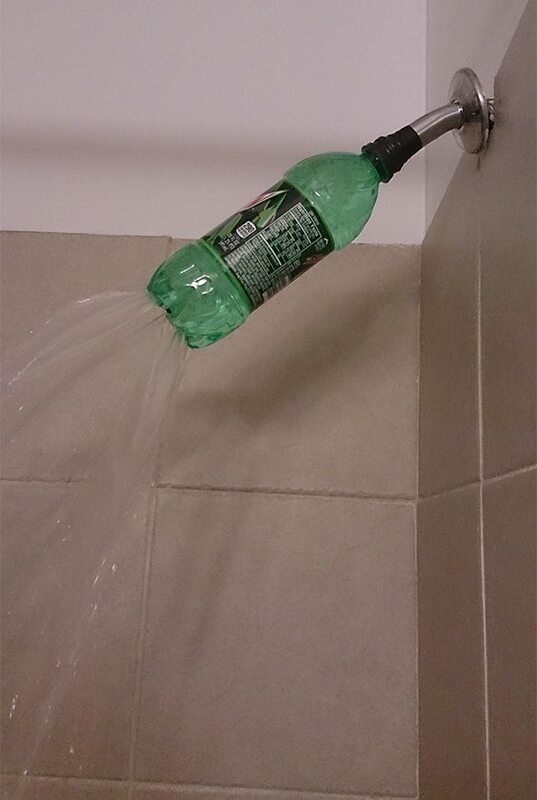 Just copy this savvy college student and use a soda bottle. Craving homemade mashed potatoes but don’t have a masher? Just use that empty beer bottle you just tossed in the recyling bin! Problem solved.